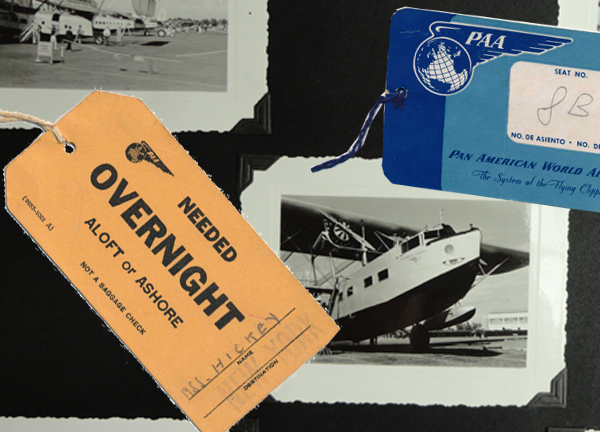 The Pan Am Historical Foundation is always keenly interested in identifying and preserving memorabilia, and written and visual documentation that can provide insight into Pan Am's heritage. In more than six decades operating around the world, Pan American World Airways touched countless lives, and left an enduring legacy. With the passage of time, many tangible artifacts and other items of historical interest related to the airline have taken on increased significance. The Foundation will check the items against present inventory and for possible use by libraries and museums housing Pan Am collections. Most documents and printed matter will be offered to the Richter Library at the University of Miami, for their Pan Am Special Collection which holds the airlines' archives and is the major resource for research into Pan Am corporate history. All accepted items will be acknowledged as a donation to the Pan Am Historical Foundation. The donor will be advised as to where to forward the individual gift items. Contact us about your tax-deductible contributions.